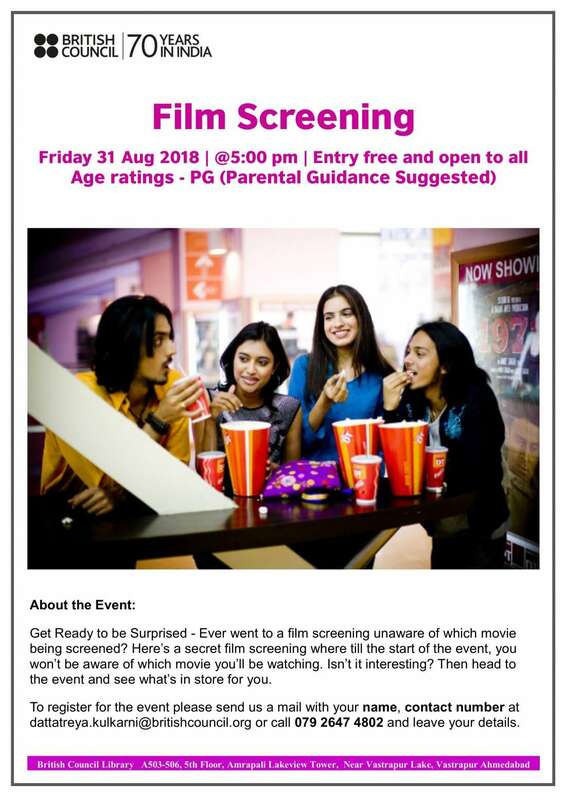 Get Ready to be Surprised – Ever went to a film screening unaware of which movie being screened? Here’s a secret film screening where till the start of the event, you won’t be aware of which movie you’ll be watching. Isn’t it interesting? Then head to the event and see what’s in store for you. To register for the event please send us a mail with your name, contact number at dattatreya.kulkarni@britishcouncil.org or call 079 2647 4802 and leave your details.